•Multi-part polylines are often the result of data capture. •A classic situation is where digitising has captured the boundary of a lake along with the inflow and outflow. The resulting feature is a multi-part polyline. The image below shows a multi-part polyline "exploded" into its individual parts, as you can see the middle part (2) forms a loop. 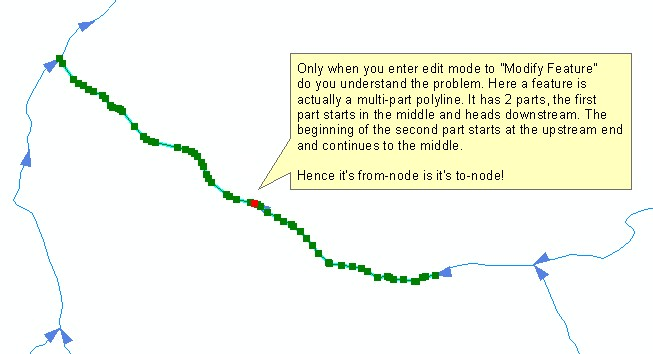 •Part 2 in the image above still needs to be converted to a single centre line for the lake to ensure correct network connectivity. 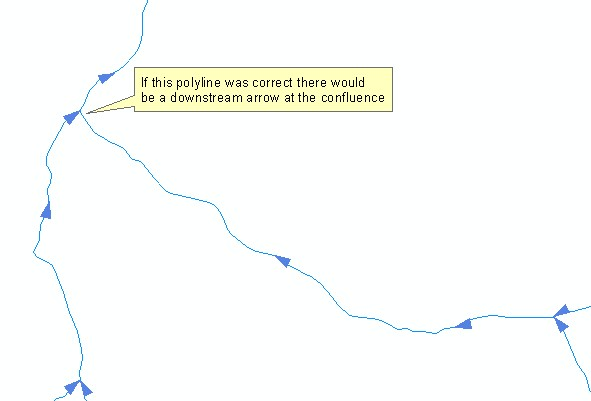 If the image above was a river braid instead of a lake boundary; the wrongly digitised multi-part polyline (part 2) would need to be split into 2 lines, left and right channel. So what you do with a multi-part polyline depends upon what is was capturing. 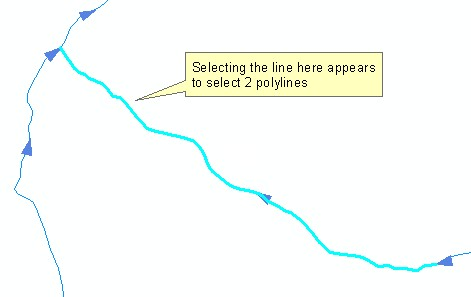 •Selecting the polyline shows up an unusual selection. •Entering edit mode and selecting edit vertices ( )shows the vertices. You could then use the sketch properties ( ) dialog to explore the order of the vertices. •Click here to learn how to explode multi-part polylines.